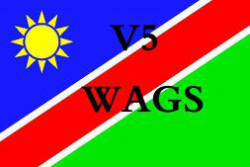 Fee: N$10-00 for NARL members and N$ 50-00 for Non NARL members. 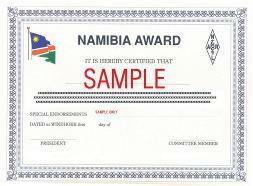 This is a brand new award for working different stations in the Namibian Maidenhead grid squares. Please contact the NARL for the official V51 WAGS Hunters Log. All QSL cards and log entries with Maidenhead locators starting January 2010 are valid for this award. Original rules provided by the Sandton Amateur Radio Club and adapted with their kind permission. Thank You! ​Note: Should you require a printed copy of the award, please contact the NARL for a price. It is however strongly recommended to obtain the award in PDF format and print it yourself or at a local copy and print shop. Rules: The rules can be downloaded below as a PDF file.